When the final school bell of the year rang for students, it was a time of joy and freedom. When the bell rang for IT, it was time for another round of strategic technology implementations over summer break. So, how’d the first couple months go? If you’re feeling the least bit stressed about readying, enrolling and deploying your school’s iPad initiative, we can help. 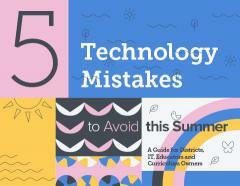 While you were hard at work collecting, wiping and prepping devices for new and returning students and teachers, we were hard at work interviewing education technology experts to determine the five most common blunders schools make with their technology. To help you avoid these common missteps, we’ve put together a guide that examines these scenarios; explaining what they are, why they can potentially cause problems and how to solve — or better yet, how to avoid altogether. Each scenario provides insight for school district leaders, IT, educators and curriculum owners. iPad deployment procrastination is real — because, hey, you’ve got a lot on your plate. To address this issue, we put together a timeline (and how to) you can follow that explains optimal dates for enrolling iPad devices into management and conducting configuration and app deployments. When devices are purchased through a retailer like Best Buy, and not directly through Apple or an authorized reseller, there are extra steps to get devices enrolled into DEP (now called Apple School Manager). Our guide provides step-by-step guidance for getting it done. Apple School Manager is a robust service that provides a central location to manage education tasks and achieve greater control over accounts and classes. Great! 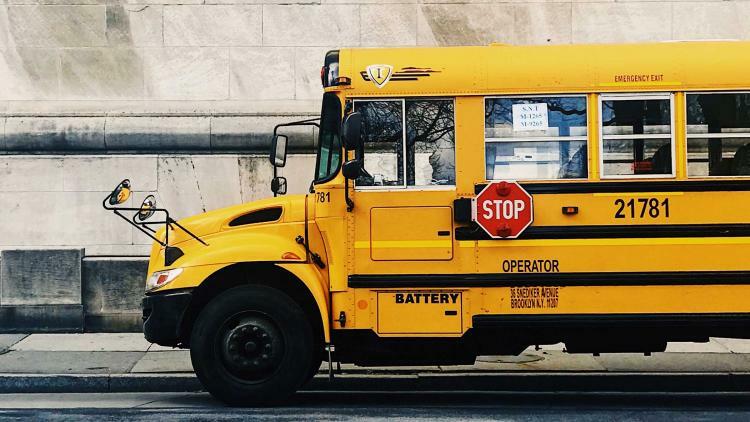 But you may be wondering how you migrate from DEP and Apple’s Volume Purchase Program (VPP) to Apple School Manager, what features of Apple School Manager you should be using, and/or how to create and import classes and users. Our guide walks you through the process and provides best practices for leveraging Apple School Manager. When your students turned in their devices at the end of the year, did they all log out properly? Well, if they didn’t, our guide explains how to bypass Activation Lock so you can make your device lock woes disappear. With graduating students leaving and new students coming in, how do you get the right group of students what they need the minute they turn on their iPad device? Our guide walks you through four simple steps to quickly go from app purchase to deployment. If you’ve experienced one or all of these scenarios, check out the guide and see how you can deliver the technology and learning experience your users crave. You’ll even see how you can save a little summer time for yourself by ensuring you’re not spending unnecessary hours building and updating education technology workflows. Have a whole other technology situation on your hands? Let’s talk and see how we can address the issue together.